A few months back I bought the Illamasqua lipstick in Fable online. I decided to do this after seeing it raved about by one of my favourite bloggers with similar colouring to my own. I did a bit of research and decided it would be a good purchase! I thought I'd do a little review with some swatches of Fable, enjoy! When the product came I was super excited to try it out! One thing I don't like about shopping online is having to wait for things to arrive, I'm much more of an impulsive 'I want it now' kinda gal, which is why I usually opt for shopping irl. I rushed up to my bedroom and opened the package and proceeded to immediately try it on. First impressions, this lipstick is chalky as hell! I knew it was a matte lipstick but I didn't quite expect this formulae. You know how most lipsticks just kinda glide onto your lips with ease? Yeah well not this one. The formulae is very thick/dry. In short, there was no gliding. I definitely recommend a coat of lip balm before using this product, just simply so it goes on! The second thing I realised was how unbelievably pigmented this lipstick is! I don't think I have ever tried a lipstick this pigmented before or since. This is great as the lipstick is definitely a non-budger, it will stay on your lips for several hours before needing a re-coat! The colour however is very shocking/statement bubblegum pink so the amount of pigmentation can be slightly scary. I tend to only apply to my bottom lip and transfer it to the top by rubbing my lips together for a softer finish. The colour of my skin varies a lot as I use sunless tanning lotions on and off in both medium and darker colours. 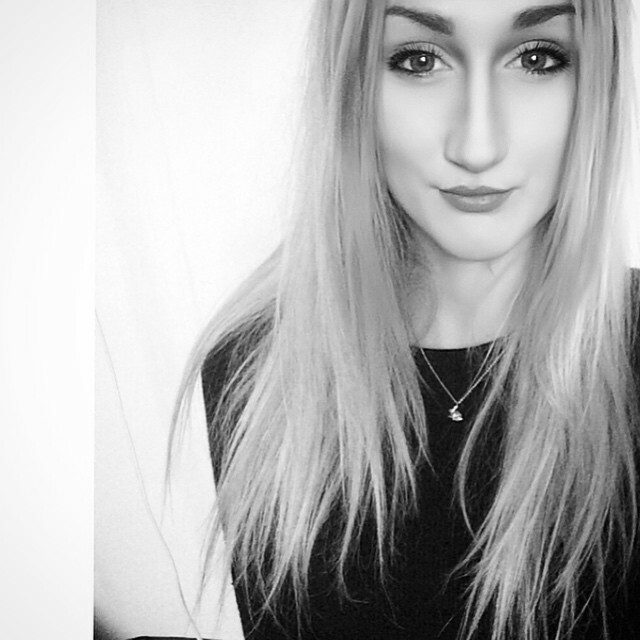 This colour suits my colouring a lot more when I am pale. The contrast of this lipstick with tanned skin is just a bit too much in my opinion. I definitely wouldn't use it as an everyday colour but it's fun for the evenings. Looks good with a subtle catwing eye and a pop of pink blush such as MAC Dollymix. I hope you enjoyed this post! 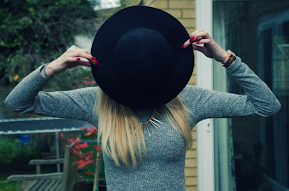 If you did please take a minute to follow me on bloglovin! What do you think, would you try it? 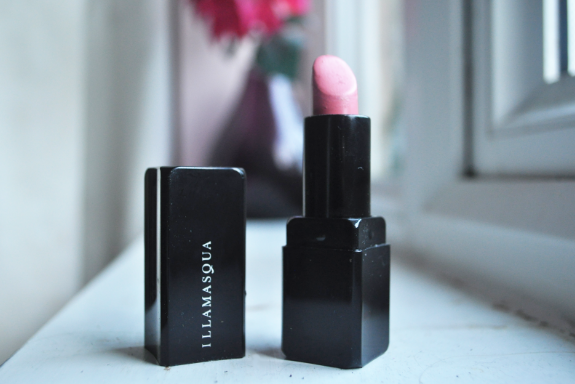 Have you tried fable or another Illamasqua lipstick? Let me know what you think in the comments below!